We take care of our customers from helping choose the right vehicle for the job to making the purchase and paperwork as smooth as silk to a speedy and efficient delivery. Our Santa Rosa Ford and LINCOLN auto repair center has professionally trained car repair technicians with the necessary skills to get your car, truck or SUV into top shape. The Hansel family has a long history in the transportation business that began five generations ago in 1851 when Joseph Hansel founded Hansel Pioneer Carriage. Among his many successes in business was his patent for the Hansel Buggy. His son, Walter started his career in transportation selling bicycles. 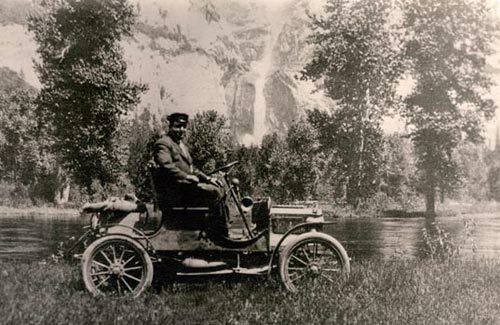 In 1899 he made the switch to selling a relatively new transportation machine, the automobile. By 1901 he opened the doors to the very first Cadillac dealership in California. Hansel and Ortman was the first auto dealership to bear the family name. 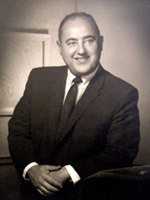 Walter’s son, the late Walter C. Hansel, opened his first auto center in 1946. By 1961 the family settled into Santa Rosa, California and Walter purchased Bishop Ford from Santa Rosa’s former mayor Robert Bishop. Walter made the decision to name the store Bishop Hansel Ford so that customers familiar with looking for Bishop Ford wouldn’t become confused if they didn’t see the name Bishop. The Ford store was located in downtown Santa Rosa on the site that is occupied today by Macy’s at The Plaza. In 1975, Walter moved the store to 3075 Corby Avenue and renamed the business Hansel Ford. The new store with the Hansel name was one of the first auto centers on what is now known as the Corby Auto Row. Today’s Hansel Ford Lincoln Mercury has Justin Hansel, the fifth generation to carry on the Hansel family automotive tradition, as its General Manager. The leadership of the Hansel Group is in the hands of father and son, Henry and Justin Hansel. Under their guidance they have built the organization into eight auto center locations representing twelve automobile manufacturers. Each of the Hansel Auto Centers is well known for their achievements in customer satisfaction at every level within the auto dealerships, from sales to service and parts the Hansel Auto Centers place the customer first. At Hansel we offer new Ford and LINCOLN cars in Santa Rosa, California, along with used cars, trucks and SUV’s by top manufacturers. Our sales staff will help you find that new or used car you have been searching for in Santa Rosa.